Wearables have brought Google and the fashion-focused Fossil Group closer together. Today, Fossil announced it will sell intellectual property related to smartwatch technology to Google in a deal worth $40 million. Upon news of the deal, Fossil Group shares jumped about 8 percent today. Along with the IP, a section of Fossil’s research and development team focused on wearables will join Google. However, the announcement highlights Google and Fossil’s “shared investment in the wearable industry,” which likely means that this deal will not quell Fossil’s wearable efforts entirely. Fossil Group—which includes Diesel, Armani, Skagen, and Michael Kors—has launched smartwatches running Wear OS and hybrid smartwatches across 14 of its brands. Fossil Group has experienced significant success in its wearables business by focusing on product design and development informed by our strong understanding of consumers’ needs and style preferences… We’ve built and advanced a technology that has the potential to improve upon our existing platform of smartwatches. Together with Google, our innovation partner, we’ll continue to unlock growth in wearables. According to a report from Wareable, McKelvey stated the deal will bring about a “new product innovation that’s not yet hit the market.” This is reportedly based on technology that Fossil acquired from wearable company Misfit when it bought the startup for $260 million back in 2015. All of Fossil’s digital-faced smartwatches run on Google’s Wear OS, so the two companies have already worked together for quite some time. But Fossil is one of many companies to develop “hybrid” smartwatches, most of which have analog faces and resemble traditional timepieces in most aesthetic ways. However, they still have the internal tech necessary to track daily activity and sleep, as well as deliver smartphone alerts through vibrations, custom watch-hand movements, and other subtle techniques. These are features that Misfit devices already had when Fossil purchased the company. Some Misfit smartwatches and trackers even used side buttons to control smartwatch functions, like taking a photo with the phone’s camera or pausing music playback. While hybrid smartwatches don’t have touchscreen interfaces, run apps, or store music like Wear OS devices can, they excel in longevity by having battery lives that last months to years. It’s possible that Google wants to look into the “hybrid” side of smartwatches. Google, strangely, hasn’t made its own Pixel smartwatch yet, so the company may want to see if and how it can incorporate some of Fossil’s technology into its next Google-made wearables. Wearables, built for wellness, simplicity, personalization and helpfulness, have the opportunity to improve lives by bringing users the information and insights they need quickly, at a glance. The addition of Fossil Group’s technology and team to Google demonstrates our commitment to the wearables industry by enabling a diverse portfolio of smartwatches and supporting the ever-evolving needs of the vitality-seeking, on-the-go consumer. 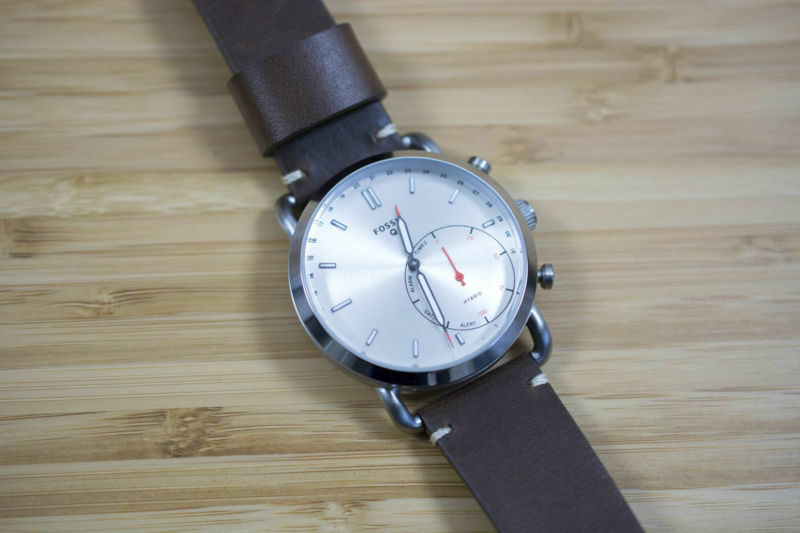 Embracing the “simplicity” of Fossil’s hybrid smartwatches could give Google an edge. The tech required to produce a hybrid smartwatch doesn’t need to be as advanced as that of a Wear OS device. Google may be able to grab the attentions of those who don’t want devices (like Wear OS watches or the Apple Watch) but rather more traditional, fashion-forward devices with a few high-tech abilities. Currently, the battle between Wear OS and watchOS appears to favor Apple’s OS. Wear OS has the advantage of many styles and price points thanks to OEMs on both the tech and fashion ends creating smartwatches that run the OS. But watchOS has the advantage of Apple-made chips, meaning the Watch isn’t held back by Qualcomm’s apparent disinterest in making competitive wearable SoCs. The deal is set to be finalized later this month.